You’re passionate about your product, and so are we — protect it with the right container, and elevate it with a partner who cares as much as you do. It’s more than a keg. It’s no secret that in a growing business, every dollar counts. 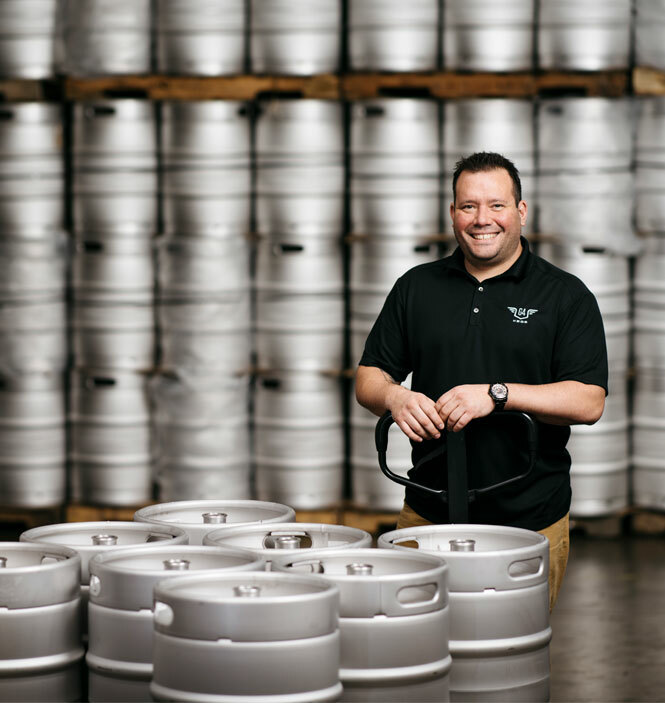 We are constantly on the lookout for ways to make our kegs more accessible and our process more efficient, so you can reap the benefits on your bottom line. You need a partner you can count on, which means quick turnaround time and reliable delivery. Our four locations across the U.S. make shipping speedy and painless — giving you one less thing to worry about. We know you’re passionate about your product, so we take our role seriously when it comes to giving that passion a vessel. We only provide the highest quality stainless steel containers, backed by a 30-year warranty and our satisfaction guarantee. How many kegs does your brewery need? Don’t be left with too many kegs that sit empty, or not enough when your busy season hits. Learn best practices and determine your keg fleet needs in this interactive calculator. How many barrels are you brewing per week? Do you plan to distribute or just sell inhouse? 2.) Do you plan to distribute or just sell inhouse? How many brews do you have on tap inhouse? How would you like to plan for kegs in distribution? 4.) How would you like to plan for kegs in distribution? Describe your distribution system via the dropdown below. 5.) Describe your distribution system via the dropdown below. What is your average keg turnaround time (in weeks)? Lean on our expertise as the nation’s leading keg consultant. From best practices to industry news, here you’ll find information to help you elevate your craft beyond the keg. How many kegs do I need? Planning your keg fleet? Start here. Our easy keg calculator above offers a quick way to determine your keg fleet needs. Looking for a more in-depth analysis? Download our free, interactive worksheet to check your math. Will We See You at CBC? Elevate your craft with G4 Kegs today. I’m interested in embossing, screen printing, or custom decoration. I’m interested in leasing or financing. Please add me to the G4 Kegs newsletter for specials and promotions.